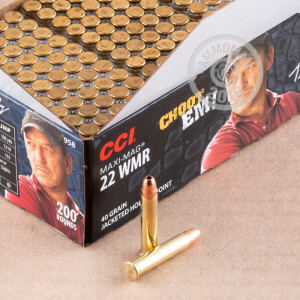 CCI Maxi-Mag ammunition has been a favorite of rimfire shooters for years. 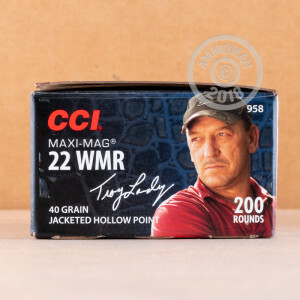 This Troy Landry Special Edition 22 WMR ammo is a great option for plinking or small game hunting. 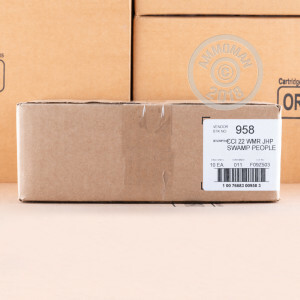 These rounds are loaded into rimfire primed brass cases, with 40 JHP bullets. Great service. Will be ordering more ammo. No misfires, no FTE, no FTFeed, in short PERFECT. It feels good to have ammo and a gun (Kal-Tec PMR 30) that works all the time - every time!